2013 was truly an incredible year in music, especially in hip-hop. We got albums from Kendrick Lamar, Drake, Eminem, Kanye West, and Jay Z; Mike Will, Young Chop, and DJ Mustard made every beat, and twerking went from Atlanta strip clubs to mainstream America. Although there were many great moments this year, 2013 was the year of the ‘Mack,’ and if the momentum continues in to 2014, Mark Morrison better start planning his comeback. Mac Miller, Macklemore, and Mack Wilds all created individual lanes, dominant fan bases, and earned a total of 8 (7 for Macklemore, 1 for Mack Wilds) Grammy nominations. Although artists like Mac Miller and Macklemore get criticized for both the color of their skin and crossover in to the pop world, both artists have stuck to their hip-hop roots and have truly stuck with the culture. Not only has Mac Miller formed close ties and working relationships with artists including Odd Future, TDE, and Jay Electronica, but his sophomore album Watching Movies With The Sound Off was one of the years best. A complete 360 from his debut album, Blue Slide Park, “Watching Movies With The Sound Off falls somewhere between Pharrell and Madlib, deeply rooted in the sounds of Stones Throw that manages to bridge the gap to contemporary mainstream hip-hop” according to XXL Magazine. Ultimately, this can be attributed to Mac’s choice of sequencing throughout the album, as well as his production (under the Larry Fisherman). WMWTSO may have slipped under many people’s radar this year, but that doesn’t slow Mac down. 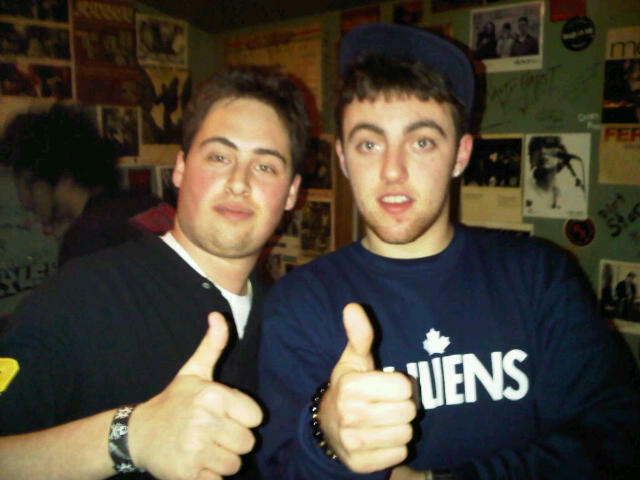 In 2013, Mac had another sell out tour (The Space Migration Tour) and released a live album in December (Live From Space). While most people would generally take a break after a tour and 2 albums, Mac has no plans on stopping in 2014. Last week he told MTV News he has 4 albums ready to be released this year, along with his Pharrell-assisted Pink Slime. Whether you like Mac Miller’s music or not, there’s two things you should take in to account and respect. First, Mac Miller is still an independent artist and making the music he chooses to, and hasn’t been conformed to industry standards. Second, he’s been on the Forbes Hip-Hop Cash Kings list two years in a row! Despite what people on Twitter or some of the hip-hop community may say, Macklemore deserves everything he’s getting and he is not leaving his hip-hop roots behind him either. Before he made a name for himself, the most popular rapper to come out of Seattle, WA as Sir Mix-A-Lot; yes the guy most notable for his song “Baby Got Back.” Of course Macklemore will always have to live with the title “The “Thrift Shop” rapper, but instead of hating the song, hip-hop should embrace it for the sole fact that it has lead the genre in to corporate America; something usually lead by Jay Z and Diddy. If people gave Macklemore and Ryan Lewis’ album The Heist a complete listen, they would see beyond the stigmas and understand why they are up for 7 Grammy’s and have gained the attention of the entire world. Macklemore has proved that he can speak about things most rappers do, Jordan sneakers (“Wing$“), cars (“White Walls”), and record labels (“Jimmy Iovine”), but also on social and political content (“Same Love”). My comments on Macklemore are only brief because I believe his actions and work have spoken for themselves thus far and we will only see bigger things from him in 2014, both in pop music and hip-hop. 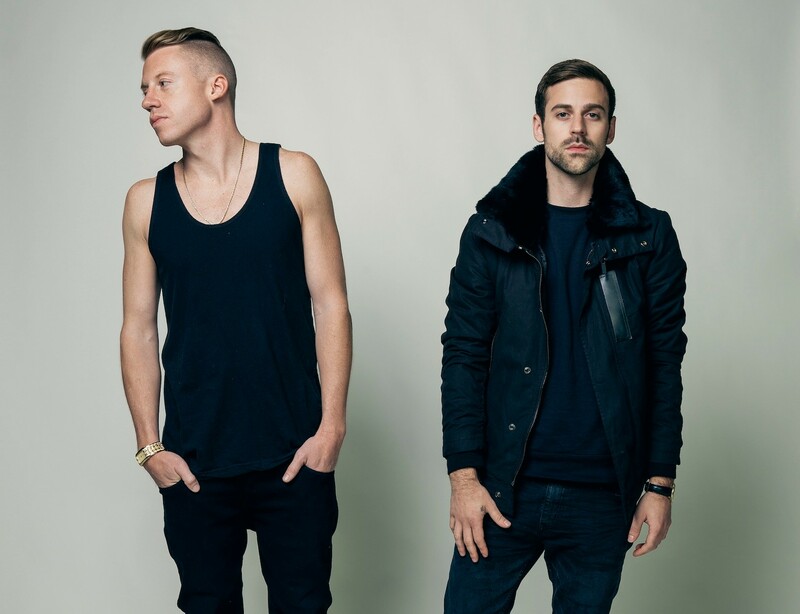 Additionally, although Macklemore is doing this all independently, he has hired Warner Music to distribute his music. Big machine + Chart topping singles = Success. Let’s not forget, Macklemore effortlessly threw a pair of the prestigious Nike Yeezy 2s in the middle of Times Square, now that’s hip-hop! Oh yeah, with a platinum album, multiplatinum single’s, and a spot on the Forbes Hip-Hop Cash Kings list, don’t be surprised when Macklemore knocks out Kendrick Lamar for the top spot at the Grammy’s! The transition between singing and acting has always been exciting, and generally much better than any athlete trying to rap! LL Cool J, Tyreese, Jamie Foxx, and a host of others have all succeeded and now there’s a new actor to add to the list – Tristan ‘Mack’ Wilds. Most people know Tristan from his role as Michael Lee from The Wire or Dixon Wilson on 90210, but Mack is a confident and talented R&B singer from Staten Island, New York. Teaming up with producer Salaam Remi (credits: Nas, Amy Winehouse, Miguel) and label Sony Red, Mack Wilds released a conceptual R&B album titled New York: A Love Story in September fueled by 90’s hip-hop beats and Mack’s interest in both women and his beloved Staten Island. What’s most exciting is that not only is the album highly underrated, but for an album that only sold 2,000 copies in its first week, it is currently nominated for Best Urban Contemporary Album at this years Grammy’s. With his Ne-Yo written debut single “Own It” quickly gaining speed, and his follow up “Henny” getting some attention on local New York City radio, Mack Wilds has successfully earned a position in the new class of New York City hip-hop and R&B. At his recent show at New York City’s SOBs, Mack brought out rappers A$AP Ferg, Bodega Bamz, 360, and Skyzoo, ultimately showcasing what the city has been missing. 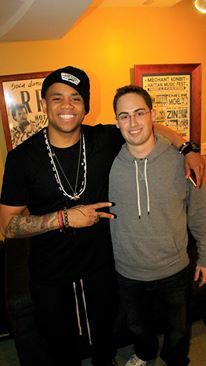 With the right push, and a win at the Grammy’s, I see big things in Mack Wilds future. I believe that that factors are simple: continuing to push “Own It” – possibly even to Top 40 radio, TV appearances, and ship more physical copies of the album! Personally, I don’t see why he can’t be in the same position as Ne-Yo, and other great young singer-songwriters who are at the forefront of the genre and in the mainstream media. I rarely enjoy listening to an album all the way through multiple times, but New York: A Love Story is a special project that I highly encourage everyone to listen to.